Pee Wee & Jr. High Football Games moved to CCC! Please note: The Pee Wee and Junior High Football games will be held at Coahoma Community College tonight. 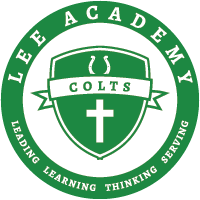 Pee Wee Colts vs PDS-Cleveland at 5:00, Junior High Colts vs Lee-Arkansas at 6:00. Come out and help cheer for COLTS!